While admitting that the government cannot stop them from turning out to give moral support to Ms Yingluck, the prime minister felt concerned for them that they might unintentionally offend the court in which case he could not offer them any help. 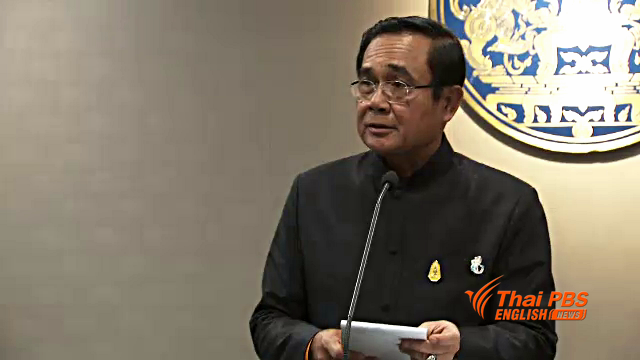 He said he would like Ms Yingluck’s supporters to understand that the trial of the former prime minister in connection with the rice pledging scheme was a normal legal process. “If found guilty, then (she) will be penalised. If not, (she) will be spared the punishment. Why the protest?” he explained. The prime minister then called on members of the public, particularly supporters of Ms Yingluck to restrain themselves and not to be led by agitators to rally at the court on the judgement day on August 25, warning that it is them who will be the first to face the wrath of the law, not the agitators or their leaders. He warned the agitators not to mobilize or facilitate the public to show up to support Ms Yingluck or they will face with legal action.